Going beyond self-perceived limits is something that Michelle Leung (BBA in Professional Accountancy Year 4) does with style. She became the first-ever student of The Chinese University of Hong Kong (CUHK) Business School to join and then win at international Genetically Engineered Machine (iGEM) 2018 Giant Jamboree in Boston. But she is not the first in the family to attend the CUHK Business School, rather a torch bearer for anyone who doesn’t take ‘no’ for an answer. Michelle made headlines in Hong Kong’s newspapers in December 2018, after she was part of a team that developed a small portable self-testing tool to detect common flu viruses in half an hour. The problem is common among hospitals around the world – people come in with a cold they easily could have warded off at home and as a result the hospital system is jammed. 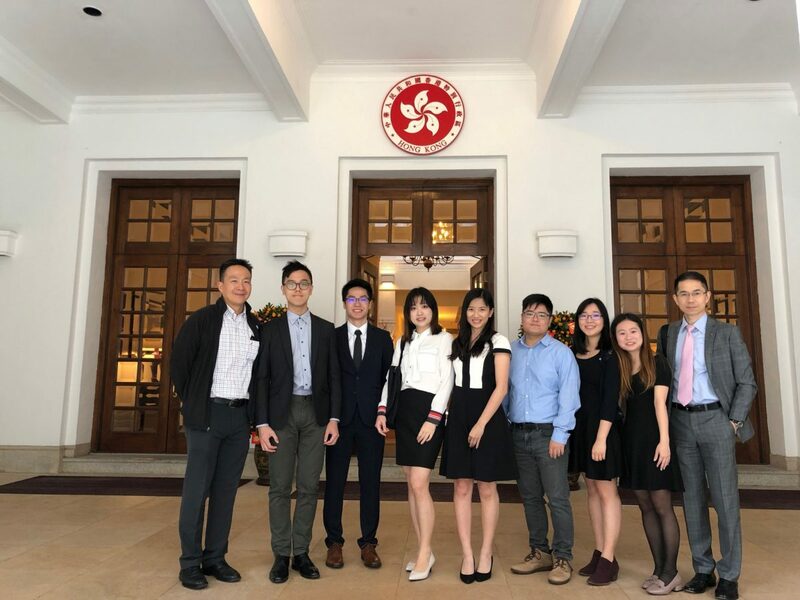 Michelle (centre) with the iGEM Competition winning team from CUHK attend the tea reception at the Government House hosted by HKSAR Chief Executive Ms. Carrie Lam. The solution scored a gold medal at the 2018 Season of iGEM Competition in Boston, and has the potential to save hundreds of lost hours diagnosing patients, in the process of making the life of medical care professionals much easier. But what was a business student doing in this type of competition in the first place? While Michelle took a leading role in charge of marketing the ‘RNA aptamer probe influenza detector’ (RAPID), she was the odd one out of a team of 12 undergraduate students from the likes of the Faculty of Engineering, the School of Biomedical Science, and the School of Life Sciences at CUHK. Always challenging herself and pushing the limits, Michelle’s success in becoming part of this ‘dream team’ highlighted the fact that award winners came from a range of backgrounds and disciplines. In this multi-disciplinary world, learning just one subject should never take priority over broadening horizons, being versatile and open-minded. It’s a reason why Michelle choose to specialise in accountancy, as it is the foundation for many subjects, helping build soft skills that can be applied across multiple disciplines for both life and careers. 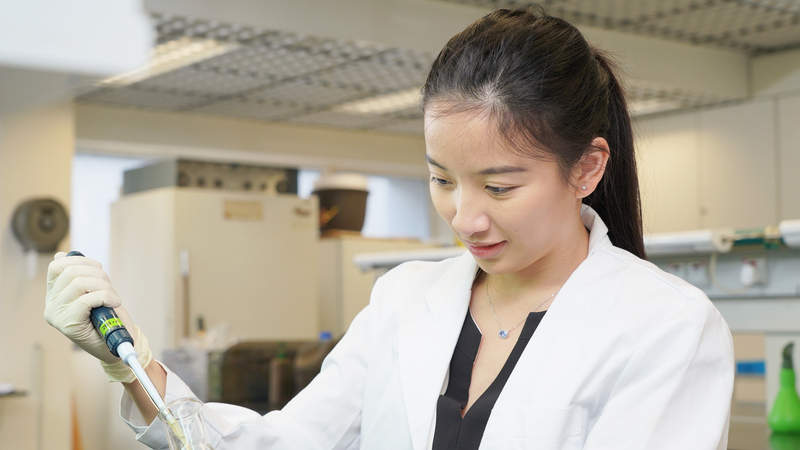 It was accountancy that inspired Michelle during the iGEM Competition, and in particular helped her to harness the soft skills she learnt at CUHK Business School. Now, she relishes in successfully working with others from different backgrounds. The iGEM gold medal is a result of Michelle’s varied educational voyage, but in fact she has been carrying the torch handed over from the previous generation. 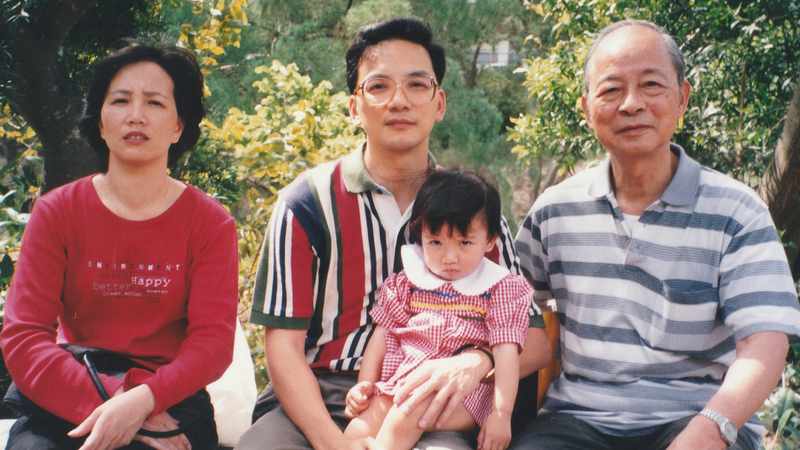 Her father is both a CUHK Business School graduate, as well as Chung Chi College alumnus, a reason why she joined the college. 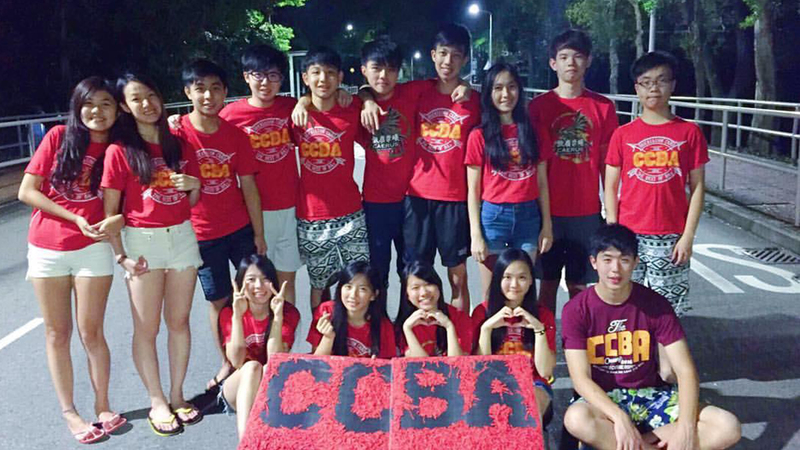 Harnessing this heritage, Michelle had her most memorable experience of a rich four-year campus life, taking the role of External Vice President in The Business Administrative Society of Chung Chi College (CCBA) during her second year of university. “The role provided me with opportunities to meet many business students from different colleges, majors and even outside of CUHK,” Michelle says. Pushing outside her comfort zone is something Michelle does very well. Her motto in life is: “you need to lose in order to win in the future.” Don’t expect things to always go well, and in the bad times, remember what you can learn to prepare for the good. This was not always the case. A sports fanatic in high school, Michelle used to value wins over anything. During university she experienced a shift of sorts, learning to let go and to embrace failure as a way to really learn what she could become. “I was not a particularly outstanding student in terms of academic performance, but one thing I did well was venturing beyond my comfort zone, taking science courses and joining biomedical research competitions,” Michelle says. Michelle found that going outside her comfort zone had allowed her to confidently take on new challenges, including moving beyond her business school disciplines and becoming a linchpin of the international iGEM Competition winning team. So how did this journey begin? For the normal observer, genetics is not a field one would associate with business school students. It all began when she was inspired by her roommate and best friend from Form One who was studying biomedical sciences. Taking a leap of faith, Michelle joined a preparatory course offered by the Faculty of Life Sciences. She was exposed to a whole new level with the course covering gene-cutting techniques and preparing students to enter the iGEM competition. “I originally joined out of curiosity but later decided to join the competition as well, after realising that my business background could make a valuable contribution to the promotion of research products, a crucial element of ‘Human Practice’ portion of the project,” Michelle says. With one third of the iGEM submission dedicated to the ‘soft side’ of marketing and budget modelling, Michelle set to work promoting the project. To raise awareness, she approached local secondary schools with her teammates to organise promotional activities including a mini-course similar to the preparatory one she attended. Michelle also submitted an entry for a Special Award in Entrepreneurship, turning the hard science work into a business with potential. Being the first business student to join an iGEM team was intense, particularly as Michelle led the part of marketing and budgeting, with others focused more on the research elements. Often times Michelle felt on her own, but that allowed her to make even more of it. “We didn’t win the Special Award after all but our award of a gold medal is testament to the learning experience, I would always recommend other business students to follow in my path,” she says. Although she did not have the relevant science background, Michelle says she “enjoyed learning beyond business training. Thanks to my teammates for their patience in teaching me basic biological theories”! Cross cultural approaches are always the best way forward, and Michelle believes that being a fish out of water among the science students will be invaluable to paving her way to a future as an accountant. It is with an open mind and heart to learn that Michelle gets ready to enter her career in accountancy. Much like she did at university, Michelle plans to learn as much as she can across assurance, internal audit and other streams of Accountancy before she chooses her path upon graduating in 2020. It seems there is almost no challenge too daunting for Michelle, who relishes being uncomfortable and having to fit in with other people from totally different backgrounds. While she can confidently say that she also has basic knowledge in the biotech sector thanks to the competition, the most important ability Michelle takes away from CUHK Business School is keeping an open heart, mind, and connecting with people from every walk of life. And that, is the power of pushing your boundaries.